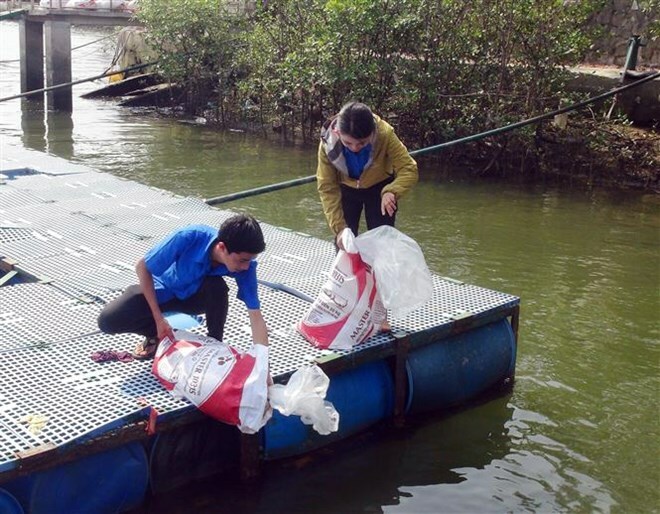 Ba Ria-Vung Tau (VNA) – The southern province of Ba Ria-Vung Tau on March 31 released breeding shrimps and fish into waters underneath of Co May bridge in Vung Tau city and Song Ray bridge in Xuyen Moc district. The activity marked the 60th traditional day of the fisheries sector (April 1), aiming to re-generate fishery resources. At each site, the provincial Department of Agriculture and Rural Development and locals released 5000,000 breeding shrimps, and 4,500 breeding fish of different kinds. Over 1 million shrimps and fish in total were released into nature at the two sites. Nguyen Huu Nghi, head of the Aquaculture Division under the provincial Department of Fisheries, said that the annual activity is expected to protect the environment and balance the coastal ecosystem.